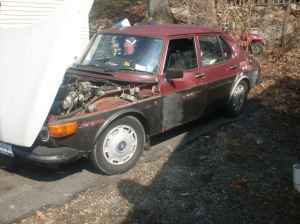 The seller wants to make sure it lives on in the hands of a Saab fan. He writes: "I am asking $600.00 for her to the RIGHT PERSON. By right person, I mean a true Saab lover. You will have owned other vintage Saabs. And I don't mean 1989 vintage. You will know who you are, and have pictures and "Saab" stories to back it up. If it doesn't sell, or the right person doesn't come along, she comes with me to my new location July 14th. It wont be scrapped, and will never become a Toyota or new washer dryer combination, so scrappers don't even offer." Located in Highland Falls, NY, click here to see the Craigslist ad. 1969 Toyota Corona - A mystery car. Yes, it's a 1969 Toyota Corona, but its specs, condition, mileage, price, etc., are not mentioned. By 1960s Japanese car standards, the Corona 2-door was a pretty cool car. This one looks rough, but restorable. If it's not a complete rat and the price is realistic, this might be a nice restoration project for someone. Located in somewhere in Eastern Missouri, click here to see the Craigslist ad. 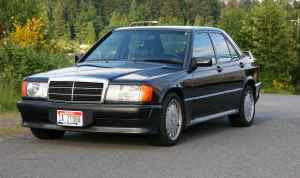 1987 Mercedes Benz 16v 190E - Except from MB enthusiasts, these cars have not gotten the recognition they deserve. They are fast, great handling cars. They are every bit as good as similar vintage BMW M or Audi S cars. This one appears to be in very good condition, which is important as Mercedes Benz parts are insanely expensive. Located in Woodinville, WA, click here to see the Craigslist ad. But hey, the Corona has its owner's manual! Yeah, that Saab blurb was tremendous. Hopefully it does go to the right home. Is that a Cosworth 190E? I don't believe so, as I've come to understand it has to be the E 2.3-16 and 2.5-16 to be a Cosworth.